Once a year during our visit to the dentist we get x-rays of our mouth, have you ever wondered why? We take excellent care of our teeth, and the dentist is thorough in their twice-yearly cleaning and hasn’t indicated any issues, so what could they be looking for? Dental X-Rays are an essential part of our diagnostic experience, and they serve a vital role in the care and treatment of our oral health. We address some of the reasons that your dentist requires you to get x-rays every year. While we may be doing a diligent job of taking care of our teeth, and the dentist may be getting into those problem areas every time we visit, there are places decay can creep in that can escape your dentist’s eye. Plaque and Tartar are insidious and can creep down to the very roots of our teeth below the gumline where even the most diligent use of toothpaste and floss can’t get to and is out of reach of our dentist’s scaler. X-Rays help to reveal where this decay is setting in so more intensive measures can be taken to stop decay in its tracks. When you’re suffering from a particularly severe case of periodontitis bone loss can become a severe problem. Periodontal disease gets into the crevices in our mouths and can even begin to eat away at our jawbone in severe enough cases. Other signs of this disease are abscesses, pockets of infection, that can form in the jawbone and gums and will need to be cleaned out. Cysts, areas of chronic infection commonly found in unerupted teeth, can also be detected with X-Rays. Cancer forming in the jaw bone is going first to reveal itself to an x-ray if caught in the early, and most treatable, stages. In addition to this frightening disease, x-rays can reveal extra teeth that may need to be extracted, and developing teeth in younger patients. Using these x-ray films they also get to keep a steady record of the development and condition of your oral health, ensuring that they notice something going awry by comparing them to earlier films. When Should I Get X-Rays? There are a few instances where you should expect to have x-rays taken, including seeing your dentist for the first time. 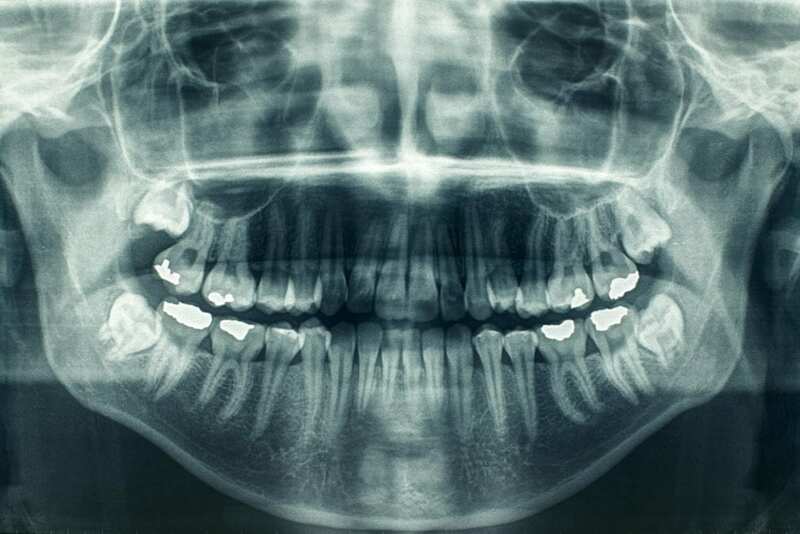 If you’ve also experienced some kind of trauma to your jaw or teeth, your dentist will likely want to use an x-ray to determine the extent of the damage. Younger patients will probably get an occasional x-ray to determine the health of their adult teeth, and certain aspects of your dental history may also require them. Generally, however, you should expect only to get your x-rays at every other check-up, or when something significant has occurred. Dr. Duc Pham at Premier Dental of South Orange County has been using X-Rays as part of his practice for his entire career. If you live in the Aliso Viejo, CA area and are looking for a new dentist, consider picking up the phone and making an appointment today!